We supply and fit state of the art security alarms, train you how to use them and offer ongoing support. 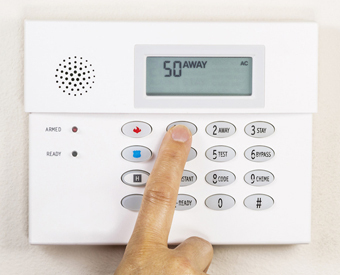 Alarms offer greater security and are therefore more expensive, but for the safety of you and your family, we believe it is worth the investment. We are happy to visit your home to discuss with you your situation and lifestyle, and give different estimates depending on the level of security you require within the budget you have available. We install the system with minimal disruption and damage to your property, give you comprehensive training in the use of the system and provide ongoing support and maintenance.